Item # 319800 Stash Points: 14,995 (?) This is the number of points you get in The Zumiez Stash for purchasing this item. Stash points are redeemable for exclusive rewards only available to Zumiez Stash members. To redeem your points check out the rewards catalog on thestash.zumiez.com. 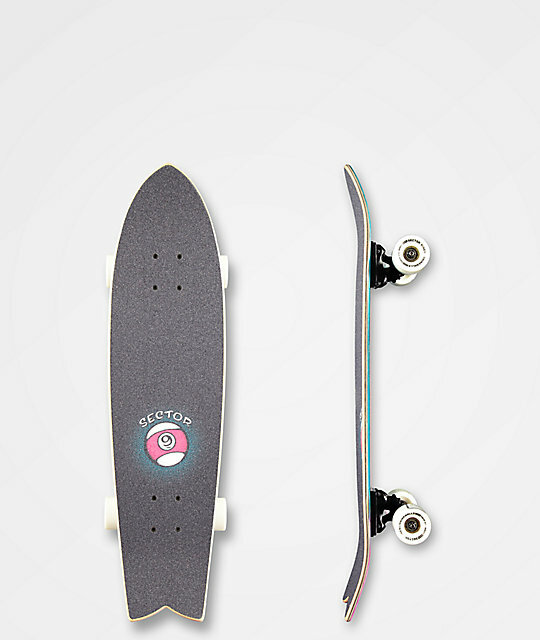 Cruise the town or boardwalk in style with the Sector 9 Feather Tia Pro 30.5" Cruiser Skateboard Complete. 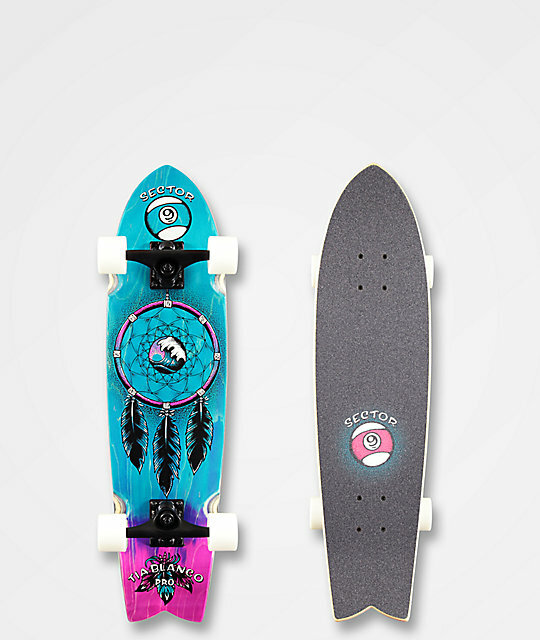 This compact cruiser features a dream catcher graphic for a fun look along with mild concave and moderate kick tails for a stable and maneuverable ride. Gullwing trucks provide additional stability while the abec 5 bearings maintain speed to keep you cruising more and pushing less. Feather Tia Pro 30.5" Cruiser Skateboard Complete from Sector 9. Medium concave with no flex and moderate kick tails. Sector 9 Nine Ball 58mm, 78a wheels.